The enterprise, which began as a small military assembly shop, only after a decade and a half they chose their first logo, and only 30 years later became independent in full. The company, now known as SsangYong, was founded in 1954. Its power was used for the needs of the military industry. However, in the late 1960s, when economic reforms began in South Korea, there was an urgent need to create a kind of visual image that could be used to identify products in domestic and international markets. The company SsangYong has chosen a classic symbol “yin-yang” for their first logo, and a combination of blue and red as their color solution. The official name SsangYong (“Two Dragons”) and legal independence the company acquired only in 1986. At the beginning of the new millennium, the idea arose to abandon the Latin letters in the logo. In Korean written language, the inhabitants of the country are proud of the most harmonious of the existing sign systems in the world (the corresponding recognition from the UN was received in 2006). However, while the management of the company did not dare to replace the usual Latin font in the logo with the national alphabet or overload the logo by double-writing the brand name. The first logotype and symbol of the company was the “yin-yang” sign, soon replaced by two dragons (in effect, having the same symbolism of a harmonious mix of opposites). 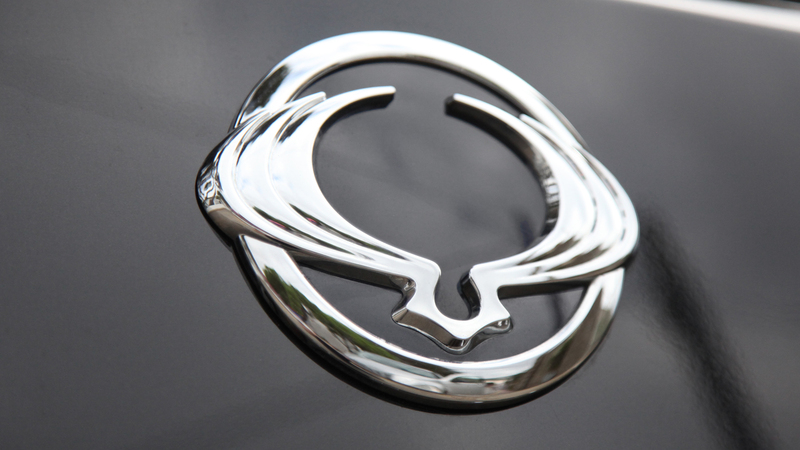 Visual changes to the SsangYong logo were made later, but for Koreans the logo symbols remain unchanged. And the double rings, enclosed in a single logo, represent a variation, the symbolic content of which is similar to the original, and the present “flower” in all official descriptions appears as a symbolic image of two dragons. Symbol of the brand – two dragons, representing a unity of opposites, self-sufficiency and independence, harmony and infinity. The first versions of the logo did not contain font at all. However, already in the mid-1990s, it was impossible to go without the font designation. Therefore, the inscription in Latin letters SsangYong appeared under the emblem. The first version of the logo used a color combination / contrast of blue and red. When switching to animalistic images (images of animals), the color definition disappeared. At the beginning of the new millennium, from color diversity, SsangYong, like most other auto brands, switched to a laconic, chrome image.